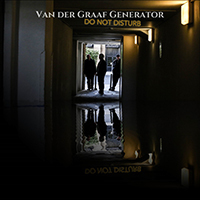 Van der Graaf Generator release their new studio album ‘Do Not Disturb’ on September 30th! 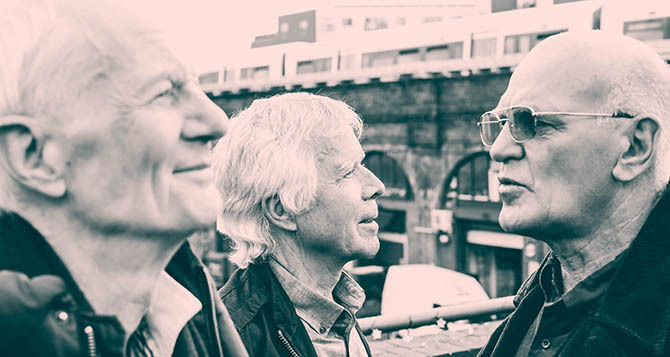 Van der Graaf Generator release their 13th studio album ‘Do Not Disturb’, which is their third album since their reinvention as a three-piece group ten years ago. Released on 30 September through Esoteric Records, the band adopted an old school approach of fully rehearsing the pieces before a record button was hit. Then, in an intensive week, all the backing tracks were recorded live. Once the various parts of each song had been stitched together - pieces were constituted of up to nine different elements and some involved prepared sonic passages as well as the live tracks - individual overdubbing took place in their own studios. Some of this music is as technically demanding as anything VdGG have ever played. Other passages rely on the feel and empathy which has been built up over the years. As a whole, it’s a confident and assertive exploration of the possibilities of a modern trio. Lyrically, the passage of time and the cascades of shared memory and experience illuminate the songs. ‘Do Not Disturb’ is a vital addition to the recorded VdGG canon. Van der Graaf Generator are one of the foremost innovators of rock. Peerless and relentlessly creative, they were originally formed in 1967 in Manchester by Peter Hammill and Chris Judge Smith and by 1968, following a few lineup alterations including Chris leaving, Hugh Barton and Guy Evans and latterly David Jackson (in 1970) came together to form the classic VdGG lineup. Following a 17 year hiatus (1978 - 2005), the core group reunited and released their ninth studio album ‘Present’. David departed the band in 2006 and VdGG have remained a trio releasing two studio and two live albums, with ‘Do Not Disturb’ being their third.